FMS Integration - Formosa21, Inc.
Nowadays, fleet management system can only provide GPS positioning of the vehicle, but the need to view video images are increasing day by day. Video images are essential in traffic accidents to avoid wasting huge amount of money in lawsuits. VPON Mobile DVR can record high-quality video images and transmit real-time images through 3G/GPRS, protecting the vehicles and reacting to emergencies at utmost speed. 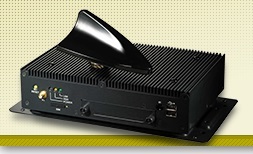 Integration between Mobile DVR and your device (vehicle tracking component) can be achieved using RS-232 communications. Your vehicle tracking component sends the vehicle information to our DVR and it will be recorded with the video. During the playback, your customer can see the status of the vehicle and view the recorded video at the same time, giving him exact and precise knowledge of what happened. 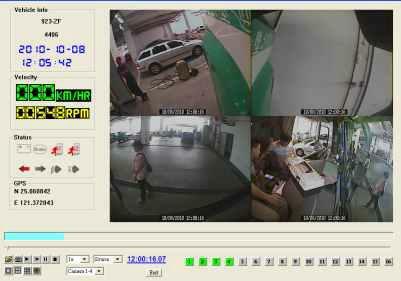 Your customers may want to view the real-time video, with VPON Mobile DVR, your customer will enjoy the thrilling experience of seeing real-time video and GPS Position using SecuTrack, our Central Tracking/Monitoring System. You may want to embed the live video into your fleet management software. To satisfy your needs, VPON provides a SDK that can be integrated easily to your fleet management software. Access to our video in real-time directly from your software, providing a fully integrated video / tracking solution to your customers. Formosa Plastics Transport Corporation established in 1964, invested by Formosa Plastics Corporation, Nan Ya Plastics Corporation and Formosa Chemicals and Fiber Corporation, has a fleet scale exceeding 1500 trucks and is the 11th big transportation company in Taiwan. In order to upgrade their Fleet Management System, they successfully applied 1st and 2nd level integrations with our product. Installed on their oil tank truck, the Mobile DVR provides real time remote video surveillance through 3G/GPRS network to their control center.